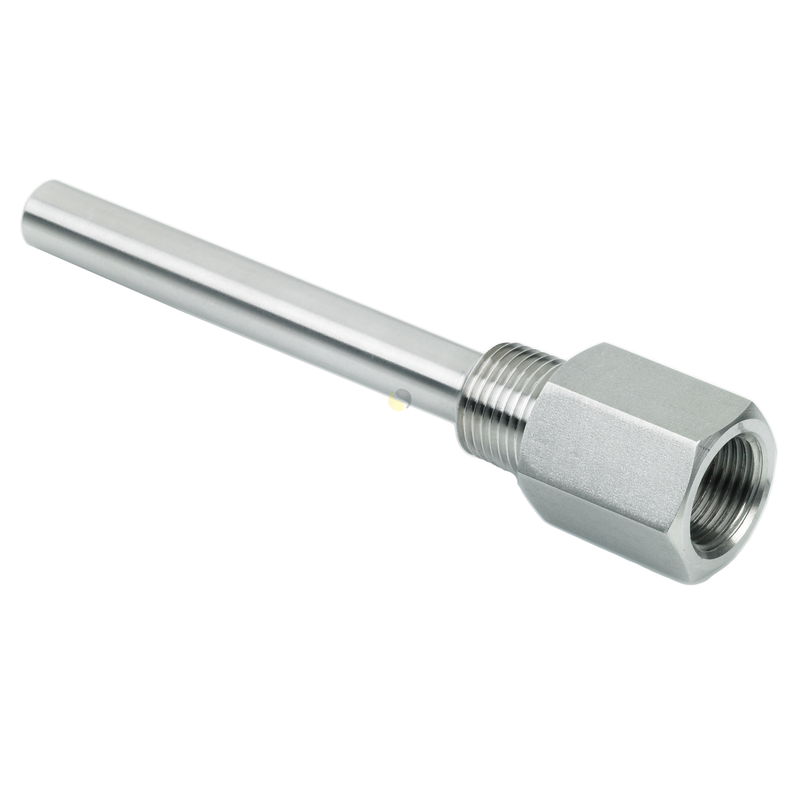 Solid drilled thermowell used to fix 6.0mm diameter sensors into a process or application. Designed for use with thermocouples or RTDs (Pt100’s) these thermowells are manufactured from solid drilled 316 stainless steel bar stock. 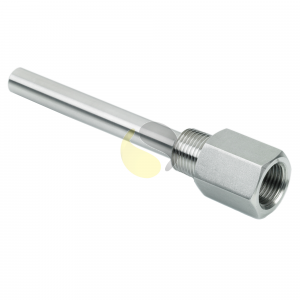 The parallel stem is supplied with an outside diameter of 12.7mm and is available with a ½” or ¾” BSP tapered male thread to screw into the process, with a ¼” or ½” BSP parallel instrument connection respectively; supplied in lengths of 50, 100, 150, 200 & 250mm as standard (other lengths available upon request). 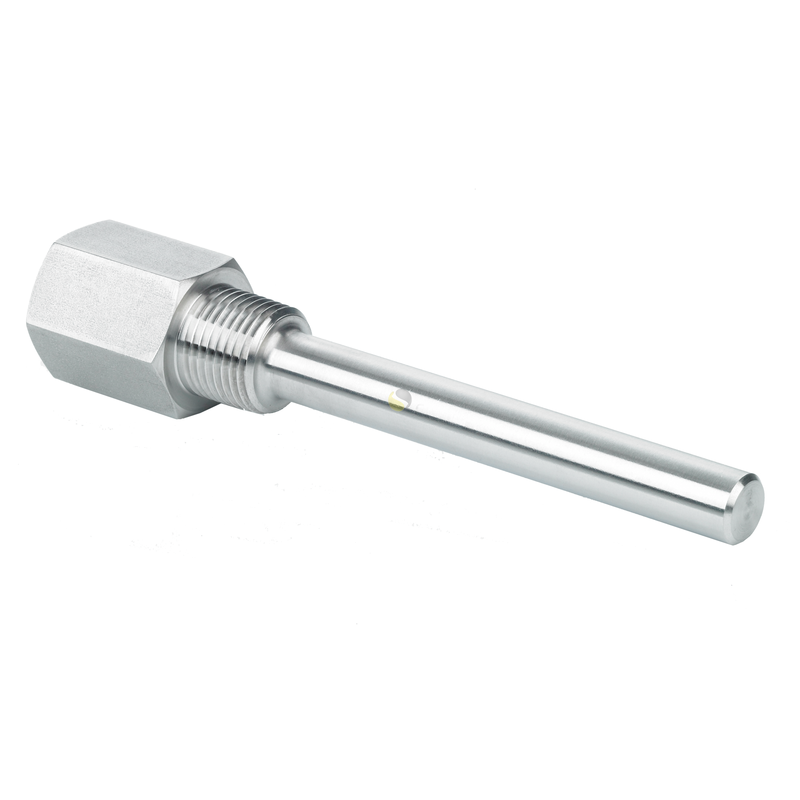 The use of a thermowell allows for the interchange of sensors without interrupting or losing the integrity of an application. 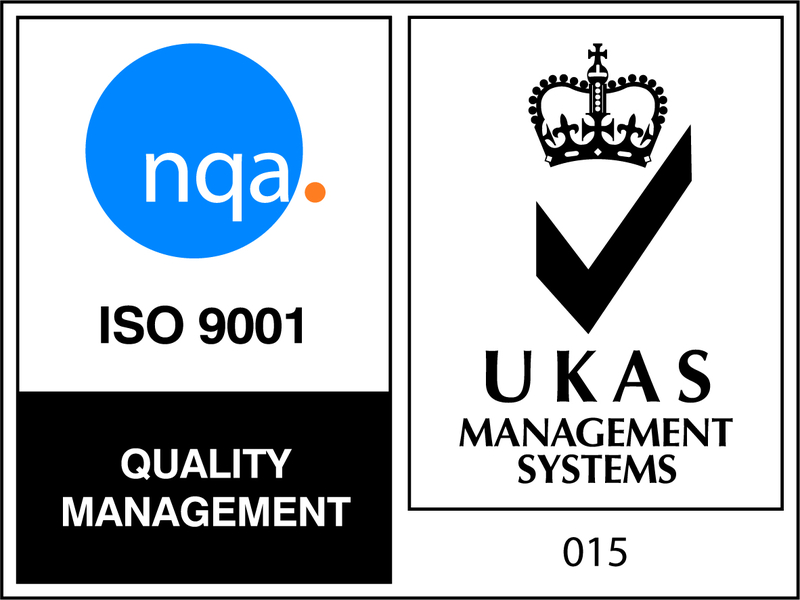 Our solid drilled thermowells have many options available and can be manufactured to suit your needs with BSP and NPT parallel and tapered threads, lengths made to order and diameters to suit any probe, such as 3mm, 8mm, 10mm or 12mm.